For many Northside students, Georgetown University is known for its high academic rankings and intense admission competitiveness. In reality, Georgetown not only offers students a vast array of opportunities in the field of academics, but also in career, athletic, and personal interest development. 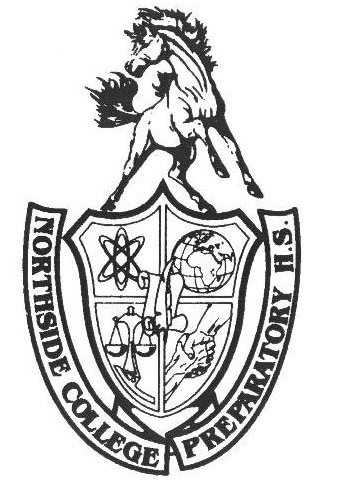 On Oct. 19, students from Northside, as well as the rest of the city, were able to meet with a representative from Georgetown University and determine if the school was right for them. The majority of the presentation focused on informing the audience about Georgetown as an institution, but placed a heavy emphasis on the ability Georgetown students have to explore themselves and their passions, using the expansive resources the college has to offer. With approximately 7,000 students in the university’s undergraduate program, Georgetown has a significantly larger student population than many liberal arts and small-town colleges, but is actually smaller than similarly ranked colleges, including Yale and Princeton--both of which have well over 10,000 undergraduate students. As a result, students are still able to utilize the materials and connections of a larger institution, but still retain more of the community-like feeling of a smaller college. In terms of extra-curricular activities, Georgetown offers more than 300 clubs and 29 intercollegiate sports teams that allow students to participate in activities outside of academics. Whether a student is interested in community service, running the on-campus stores and businesses, or joining the nationally-ranked cross-country team, Georgetown is able to provide all of these opportunities. In terms of academics, Georgetown is consistently placed within the top twenty colleges in the United States, making it very competitive among prospective students. Georgetown offers more than forty majors and well over fifty minors that students are encouraged to pursue at their own discretion. Each major and minor at Georgetown is taught in one of their four sub-colleges, which specialize in a specific realm of academic study. While students are allowed to double-major at Georgetown, each major must be taught within the same school, meaning that each major will be somewhat similar in terms of its background (however, students are not required to choose minors within the same school as their major). Classes at Georgetown are divided into trimesters during fall/winter and winter/spring, with optional courses offered during the summer. Nearly 57 percent of undergraduate students at Georgetown choose to study abroad, as the university offers around 120 programs that span 40 different countries. When completing an application to Georgetown, potential students are required to choose one specific school of study, which they remain in until completing their major. Undecided students can apply to the generic “Georgetown College” house, which specializes in broad ranges of study. Once admitted, students are allowed to switch houses if they determine that their selected major is not for them. Moreover, Georgetown’s application is university-specific and is not part of the Common Application. As part of the application, students should have one teacher and one counselor letter of recommendation, and a highly recommended (but optional) alumni interview. Georgetown also offers hundreds of need-based scholarships that students can apply for that range from $1,000 to $60,000. One of the defining features of Georgetown’s scholarship program is that their expansive donor base allows the university to meet 100% of the demonstrated needs of prospective students. As a result, Northside students interested in Georgetown but concerned about its affordability should still apply to the university, given its generous financial aid opportunities. However, unlike many other universities, Georgetown does not offer any merit-based scholarship opportunities. Georgetown’s tuition, room and board, and fees for students is approximately $67,000 per (undergraduate) year. For students interested in a university with high-academic achievement levels and access to several different athletic, personal, and career opportunities, Georgetown is a strong choice for collegiate studies. Its location in the heart of Washington, D.C. on the Potomac River allows for both a secluded and interconnected community that is unique to the university. Northsiders considering in applying should visit the Georgetown website for more information at www.georgetown.edu.